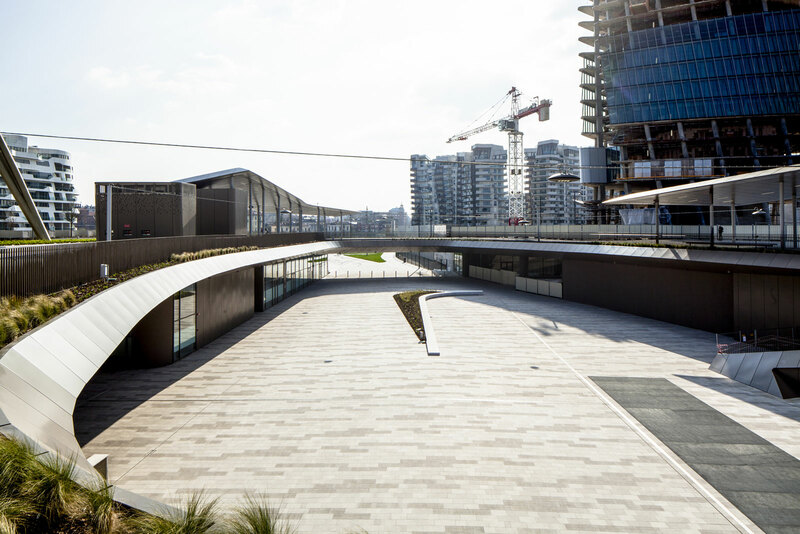 Margraf, with its associate Marmor Sezana, has been selected by CityLife together with the One Works design firm, to create the outdoor paving of CityLife, the ambitious urban redevelopment plan for the former Milan Trade Fair area, covering an area of about 255, 000 sqm. Residential buildings:7 residences designed by Zaha Hadid and 8 by Daniel Libeskind. About 20, 000 sqm for shops and services. 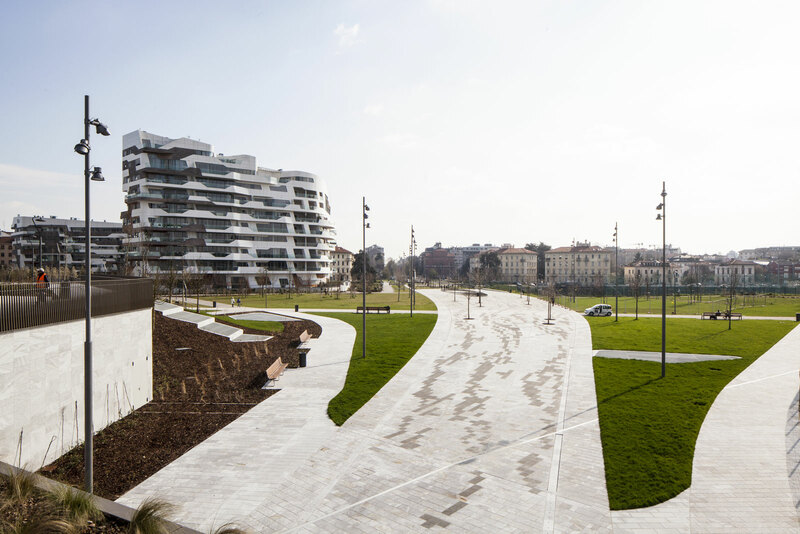 A cycle and pedestrian path linking City Life to Parco Sempione on one side and the man-made hills of the Portello area on the other. Construction of new underground roads. Metro line 5 stop (already open) right at the centre of the area. Thanks to this new challenge, Margraf, which has been a ‘milestone’ in the history of world architecture over the last 110 years, is still a protagonist today in giving life to projects requiring top-class natural materials that not only have a great aesthetic impact, but also and above all a great added value and high quality. Type of marble: Lipica Fiorito, scored and bush-hammered, free-length slabs of different shapes. Type: grey-coloured marble with more or less evident fossil remains and rare small whitish veins. This stone is very compact and resistant to frost; it was used in ancient times for flooring and outdoor architectural elements throughout current-day Veneto, Friuli and Slovenia; today, testifying to the stone’s durability, these floors and elements still preserve their original features. 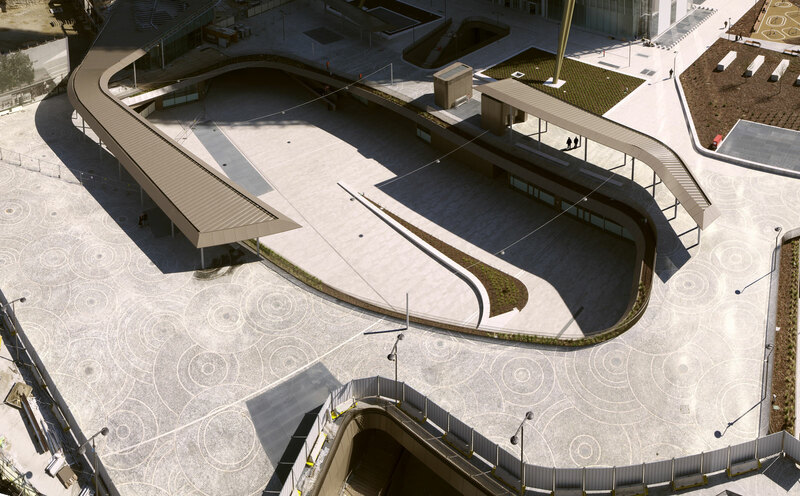 Technical characteristics: Natural stone slabs for outdoor floors, after 56 freeze/thaw cycles, Lipica Fioritohas proven to be frost-resistant and therefore suitable for outdoor use.